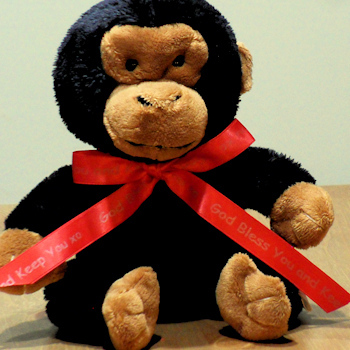 Cheeky chimp monkey gift with personalised satin ribbon. Cheeky chimp monkey gift with personalised satin ribbon. A lovely little cuddly gift for ages 3 to 103. Have a name or brief message (ex: Happy Birthday!) printed on your choice of satin ribbon colour. If gifting to small child please remove the ribbon. 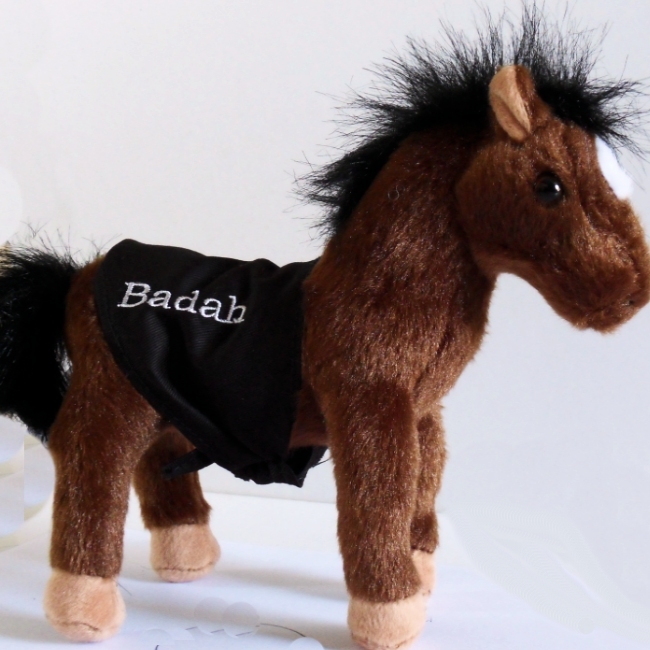 Beautiful handmade soft toy animal by Keel Toys using fine plush materials. Toy conforms to European safety standards EN71. Hand washable fabrics.